Underground water storage, savings, and replenishment - or recharge - is a means of storing excess water supplies so that they may be used in the future. Artificial recharge is an increasingly important tool in the management of Arizona’s water supplies, particularly in meeting the goals of the 1980 Groundwater Management Code. Storing water underground to ensure an adequate supply for the purpose of satisfying current and future needs is both practical and cost-effective in Arizona's desert environment. Competition for the use of water in Arizona continues to grow as the State sees an increase in population, new development, and new industry. All uses are dependent upon a finite water supply. The challenge of water management in Arizona is to satisfy current and future needs. Satisfying those needs requires innovative solutions, one of which is the recharge program. For decades, more groundwater has been pumped than has naturally recharged back into the aquifers, creating an imbalance. Using renewable water supplies and recharging water underground reduces this imbalance. A person who wishes to store, save, replenish, or recover water through the Underground Water Storage, Savings, and Replenishment Program must apply for permits through the Department. 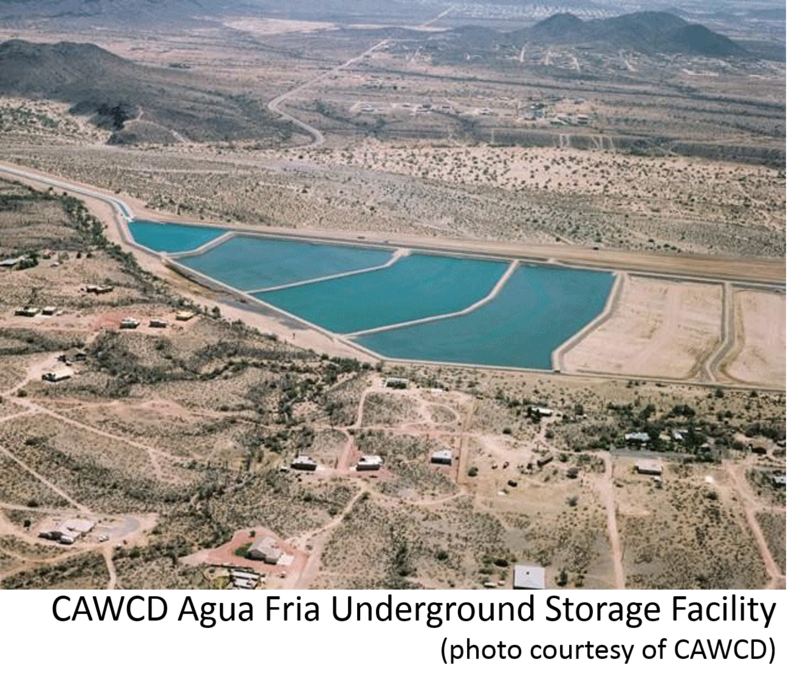 In 1986 the Arizona Legislature established the Underground Water Storage and Recovery Program to allow persons with surplus supplies of water to store that water underground and recover it at a later time for the storer’s use. In 1994, the Legislature enacted the Underground Water Storage, Savings, and Replenishment Act (UWS), which further defined the Recharge Program. To encourage the direct use of renewable water supplies, Arizona law places limits on the types of water that may be eligible for Long Term Storage Credits to renewable sources that cannot be used directly. Persons who wish to store water through the Recharge program must apply to the Department for the appropriate permits. All permit holders are required to file annual reports with the Department regarding the volume of water stored and/or recovered pursuant to their permits. 1. Protect the general economy and welfare of this state by encouraging the use of renewable water supplies, particularly this state's entitlement to the Colorado river water, instead of groundwater through a flexible and effective regulatory program for the underground storage, savings and replenishment of water. 2. Allow for the efficient and cost-effective management of water supplies by allowing the use of storage facilities for filtration and distribution of surface water instead of constructing surface water treatment plants and pipeline distribution.